Pittsburgh is the first major U.S. city to adopt a rights-based ordinance that includes the legal rights for nature. The ordinance is also the first in the nation to recognize the legally binding rights of nature. Nature and the resources it offers has for too long been seen as property. And damage done is only gauged by human impact. 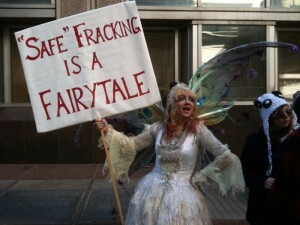 Drilling, for example, could only be challenged by its harm to humans; not the water, land, and animals that it violates. By seeing nature as more than a means to an end, but rather for its innate right to exist the city is protecting the ecosystems and natural communities by which it relies on and residents are empowered by this ordinance to enforce those rights. Communities like Pittsburgh are discovering their lack of decision-making power in their own communities and are taking a stand through a rights-based approach. Pittsburgh’s ability to take on corporate injustice says a lot about the future of communities to truly stop unwanted harm rather than just postpone it. Buffalo, NY is considering adopting a similar ordinance. The Caravan is over. The Call for Peace Continues! The is Caravan over. The Call for Peace Continues!